Potato dauphinoise is believed to originate from the Dauphiné region of France. 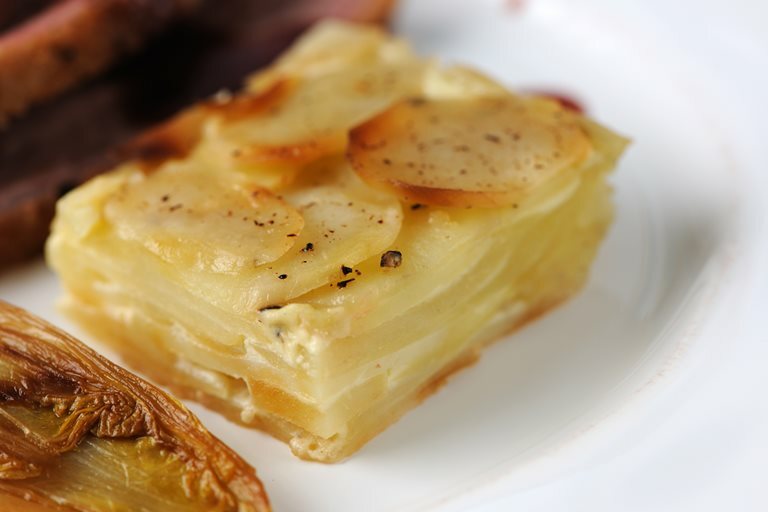 Josh Eggleton's potato dauphinoise recipe is relatively straightforward but does involve leaving the dauphinoise to press overnight, so plan well ahead. You can serve dauphinoise with a range of meats, such as this duck breast with chicory recipe, or just enjoy with a simple salad.